There are a number of media sources reporting double digit vacancy rates in the Saskatoon office sector but it’s important to identify the qualifying factors that go into this data. Here is a brief analysis of how our Market Analyst Alvaro Campos is dissecting the information for ICR. Total inventory is crucial to determining how vacancies are interpreted in the market. There is no one central database in the City of Saskatoon that states the amount of office product in our market. In our office study, the inventory we presently use to quantify our downtown market consists of approximately 3.2 million square feet plus approximately 3.9 million square feet for suburban inventory. In comparison, other sources have reported that the Saskatoon market has inventories which range from 2.4 million SF to 3.6 million square feet in the downtown core, and 1.9 million to 3.5 million square feet for the suburban market. Over the years we’ve tried our best to identify the total of each office structure within our downtown and suburban markets. We track all current construction and add properties to our inventory database once they are substantially completed and ready for tenant improvements. Where it is possible to conflict with other sources is the classification of the inventory. We would only include the office portion of a building downtown, for example, that operates with retail on the main level. This applies to total inventory and to accuracy of our vacancy list. While most suburban centres are easily defined, the general public’s definition of downtown likely differs from ours. We include downtown peripheral like Timber Pointe on Queen to be technically suburban inventory. Most people wouldn’t consider a product like Timber Pointe on Queen as suburban in nature but we believe it really isn’t truly reflective of downtown either. The most important part of sorting our data collection is qualifying the parameters. It’s no wonder then that the rates don’t necessarily match up from broker to broker. We define vacancy as anything that is vacant on the market and is being actively marketed. Once a space is leased or occupied, it comes off the vacancy database. A category that hadn’t been previously tracked but is relevant to our current market is that of sublease space. Sublease opportunities arise when a tenant leaves the premises before the term of their lease is up. Although sublease space is advertised as available, the tenant is still obligated to continue paying rent unless some other arrangement has been made with the landlord. With rent and occupancy costs being paid, this inventory isn’t truly vacant so it was not historically included. However, in our current market, there is an unprecedented amount of sublease property available. This office space certainly does have an effect on the vacancy as a whole and therefore is shifting the percentage. The office trends we see in Saskatoon are being felt country-wide. The national average hovers around 10 per cent. There are many factors that have contributed to the rise in office vacancy nation-wide including the oil slump felt in provinces such as Alberta, New Brunswick and Saskatchewan. As well as office users looking to maximize the efficiency of their office space. ICR is reporting a current vacancy rate of 7.9 per cent for downtown and 8.7 per cent in suburban. Coupled with the sublease properties, however, those rates rise to 11 per cent and 10.7 respectively in available vacancy. 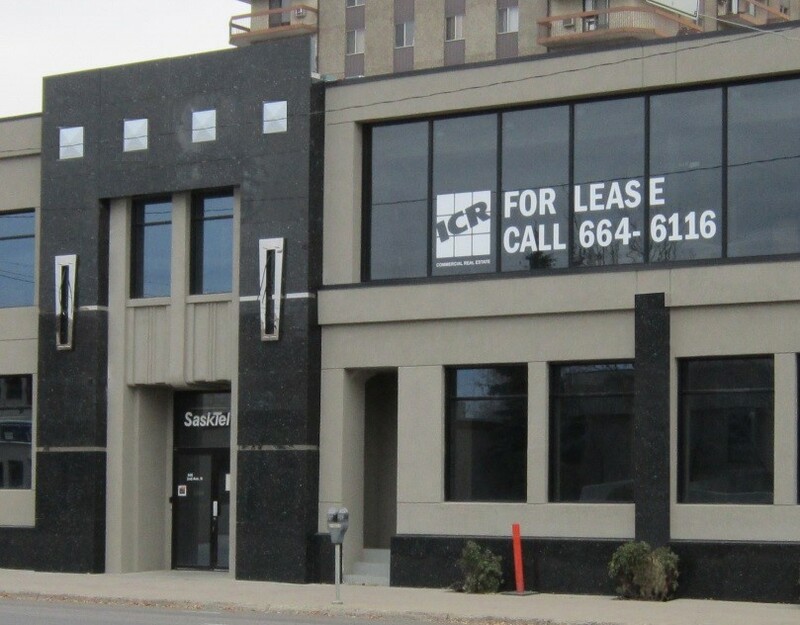 Keep in mind that an office market the size of Saskatoon is vulnerable to fluctuations, in that 32,000 square feet in leasing activity would decrease the vacancy by 1 per cent. Rates have remained stable with the lack of inventory in Class A properties downtown but have softened in the Class B and C options which is where the abundance of vacancy remains. As we look to create a consistent inventory for the Saskatoon office market, an approach which is similar to the office market for Regina may be examined for our reporting. This approach would eliminate any inventory which is leased by government users and would reflect a much smaller inventory than what we presently study. If we were to report in this manner we would show a downtown inventory of 2.7 million square feet with a vacancy near 10 per cent and available vacancy near 13 per cent. Similarly, it is expected that the suburban office inventory would decrease and result in a higher vacancy due to the change in inventory. Because of the amount of inventory sitting on the market, I would not expect to see any immediate new construction in the office sector for the remainder of 2015. Absorption must catch up to the vacancy before developers become interested again in the Saskatoon office market. Saskatoon’s economy has slowed down but by no means is it expected to stop. I believe that if conservative absorption continues, it will not take long for the vacancy to diminish. Where do you think the market is headed? Give us your thoughts!